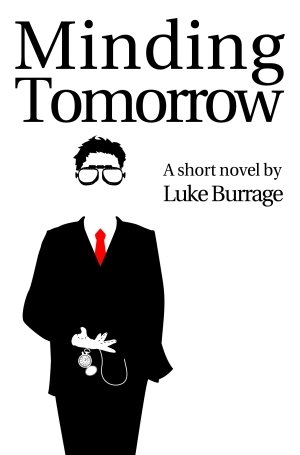 A near-future, non-linear, multiple-character, science fiction/mystery/thriller novel by Luke Burrage. PDF (formatted for reading on iPad-sized screens). PDF (formatted for reading on iPhone-sized screens). Kindle/Mobi format (thanks to Wilfried). These formats are generated mostly automatically, but they are DRM free, so feel free to use the HTML or RTF to do your own PDF conversion or ePub formatting. This novel follows a wide cast of characters as they try to find their way in an uncertain future, coming to terms with new technologies, shifting politics, natural catastrophes, and other problems on a more human scale. Many questions are raised along the way: Who are these people and what links them together? Can any one person change the world? Just because you can, does it mean you should?" don't modify the text in any way. "...original, offbeat and compelling." - David Lim. "It was surprisingly good, much better than I was expecting. Can I read your next one?" - Nathan Rae, my twin brother.